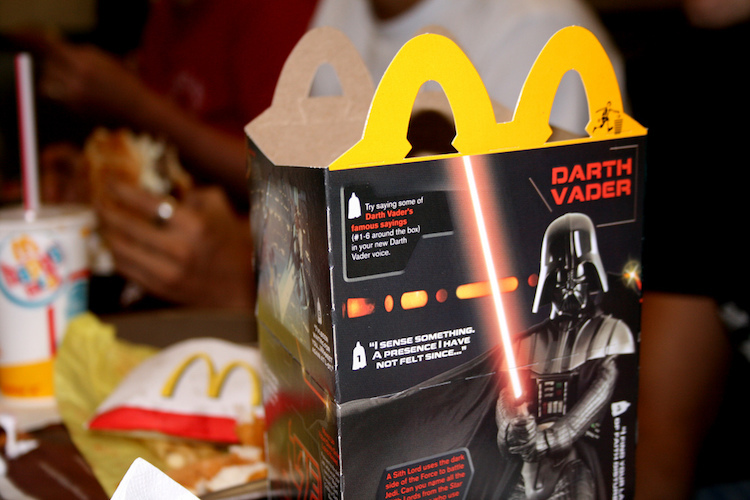 Despite efforts by the Council of Better Business Bureau, fast food restaurants are affecting children’s food preferences through targeted advertisements. McDonald’s and Burg er King may have both agreed to market “healthier foods,” but research has shown that most children don’t even notice the food. Instead, they are drawn to toy promotions or movie tie-ins, which are often the focus of the advertisements. In one study, researchers found that 81% of 3-7 year old participants recalled french fries in an advertisement containing depictions of apple slices. Koop member Dr. Jennifer Emond studies the effects of this child-targeted fast food advertising. Read more here.